This page was created to help our customers make informed purchasing decisions, answer common questions, & improve your experience with us at Avon. We will cover the differences between our most purchased products, including printers, cards, & software! Regular(inkjet) printers do what they do by precisely spraying tiny coloured ink dots onto paper to recreate the original image/document. Card printers do not use ink. Instead, they use a thin coloured film wrapped around two spools/pegs, called a "ribbon". On full colour ribbons, the film is split into colored panels, yellow, magenta and cyan(can have addition panels). The print head heats up, and the ribbon gets layed flat onto a plastic card, each colour in sequence to recreate the image. The ribbon film is delicate, and can be torn by excessive heat, mechanical issues, or other reasons. To fix a torn ribbon, simply tape the two ends back together, and roll the taped section over the spool. The printer will automatically search for the next usable panel, and resync the ribbon position. Direct to card printing sounds like what it is - printing directly to the card's surface. Max detail is 300DPI for DTC printers. Don't use pre-punched cards or you could damage your print head, a very pricey repair. DTC printers work by heating the print head, then applying the heat to the printer's ribbon, laying each coloured/monochrome/overlay panel in sequence to recreate the image on the card. DTC printers tend to be more compact, use less energy, and weigh less. High definition printing is a little different - it uses 2 ribbons, an ordinary monochrome/colour ribbon and a retransfer film. It works by heating the print head(even more than DTC), applying the heat to the colour/monochrome ribbon, which will lay each ribbon panel onto the retransfer film. 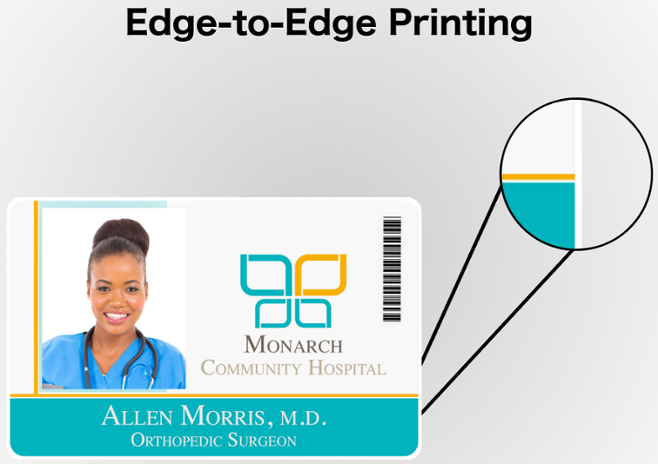 The retransfer film then gets applied to the card's surface, allowing edge-to-edge printing, and sharper details. However, the increase heat means regular PVC cards could become soft while inside the printer, causing it to bend, warp, and even melt inside the printer. HDP printers must use a more rigid "comp" card. You can learn more about composite cards below, which are stronger, more durable, and will last longer. HDP printers are generally larger, and weigh more. Max detail for HDP printers is 600DPI. As with DTC printers, do not use pre punched cards, as this could damage your printer's print head. Single sided printers can only print to one side of the card at a time. To print on the back, you must manually flip the card over, reinsert and print to the back of the card. This is fine if you are only printing a few cards, but for larger runs, dual sided printers save time. Dual sided printers have a module inside that after printing the front, automatically flips the card while inside the printer, and prints to the back before ejecting your card. The difference between our printers and our systems comes down to what's included in your order. Printers are just the printer and included accessories(power/usb cable, cleaning cards, manual). Systems additionally include CardPresso XXS, 1 full-colour ribbon, 100 blank PVC cards, and a webcam. Owning a card printer has both pros and cons. As well as selling printers, we also offer printer rentals. Renting a Plastic/PVC ID Card Printer can be a cost-effective alternative to purchasing for a variety of reasons, such as when you only need to print in small quantities, if you need to print more cards faster, or only print seasonally. To learn more about our rental services, please click here. CR80 cards are the standard, the same size as credit cards and drivers licenses (85.6mm x 54mm). Almost every card printer can print to this card size. There are a million different kinds of cards out there, but lets look at the two most common materials plastic cards are made from. The most common card is made from PVC, a widely used type of plastic used for many purposes. 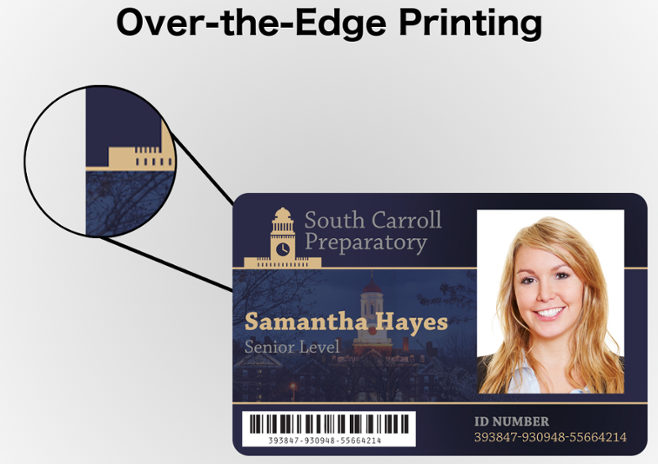 PVC cards are standard, and are used in direct-to-card printers. These cards are are inexpensive, come in varying thickness (30mm standard), and made of 100% PVC. Packaged per 100. Comp cards on the other hand are primarily designed for use in HDP printers, and are made of a 60/40 PVC/PET blend, yielding a stronger, longer lasting card. CardPresso is an ID card design software, made to make creating card designs easy! CardPresso is different than the printer driver, as the driver tells the computer how to communicate with your printer, while CardPresso is for designing. CardPresso Comes in 6 flavours: Demo mode, XXS, XS, XM, XL, and XXL. In demo mode, you can choose which licensed version of CardPresso to trial. You do not need a license to trial demo mode. All cards printed in demo mode will have "cardPresso" printed over each card. Each upgrade includes everything its lower versions does. XXS removes this limitation, and includes all basic functionality of the software. XS includes QR codes, the ability to connect to an outside database, such as an existing Excel or SQL database, as well as password protection. The upper level upgrades include more niche features; XM includes Microsft Access support, face detection for webcams, and database search. XL includes fingerprint reader support, prox card encoding, and network printing support. XXL includes features SO niche, that only much larger businesses use them, including network licensing for up to 16 computers, and web server printing. To find out more, head over to the CardPresso page, or check out our video tutorials! 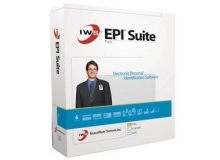 Did you know you can print a card from any software? Even Microsoft Paint! But have you ever tried to print something professional looking from microsoft paint? 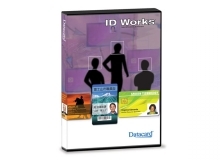 It is very limited-use, meaning things that might normally go on, or help you design an ID card, would not be easily accessible within the software. For example, Paint does not have a barcode generator, a database feature, or a snap to grid function built in. This is where CardPresso Comes in. 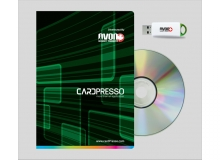 CardPresso was created from the ground up to be a CARD DESIGN software. This way, designing and printing cards easy! 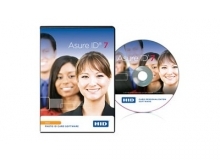 Other card design software include EPI Suite, Asure ID, ID Works, and more! Polaroid drivers work a little different than other drivers. When installing Polaroid/Valid printer drivers, you must wait to plug the USB cable into the computer until the installer prompts you to. If the cable is plugged in from the start of installation, the installer will stop partway, and not continue to do anything. To fix this, you must completely uninstall the driver using the blue trash can button at the top of the installer window. Plug the USB cable into the computer, click remove driver, and reboot the computer. You will then need to start installing the driver from the beginning. Repairs can be expensive, but so is buying a whole new printer. What should you do? Repairing will almost always cost less, but take longer to get back up and running than a straight replacement or upgrade. Its a tradeoff between cost and downtime. If you need printer repairs, We offer free tech support and in store diagnostics to help identify your printer's issue and get it fixed. We also offer a trade-up discount for purchasers of new printers. Just trade in your old one! To talk to an expert from our team, please call us at 1-866-458-6999 to discuss whats best for you!